In November 2015, I arrived in India after 13 months in Sri Lanka (13 plus two and a half in Tanzania, one in Bali) and felt a deep hunger. I ate and ate and ate. Friends attested to my gargantuan appetite (remember, Subha, Yanik?). I felt dizzy, I ate some more. By Christmas Day, I shunned the group invite to lunch so that I could stay close to base and eat alone just to be able to lie down immediately afterwards. After several months of unrequited feeding, I had put on weight but was still deficient in everything I needed: I was eating to try to gather the nutrients I required and in the process I was overfeeding and still not well. Why wasn’t the food I was eating making me well? Reflecting on the experience in the light of the essay ‘Nutrient Dense’ (Katy Bowman, Movement Matters, Propriometrics Press, Nov 2016) which focusses on how we’ve ‘unstacked’* our diets in the wake of modern agricultural methods, food mass production, and the globalisation of food distribution. The deficiencies I was experiencing were a huge issue for me, which is why I’m going on and on about them (I know, folks, yawn). I was exhausted (yes, again, yawn!) and barely functional; no amount of traditional medical consultations could resolve the issue. I was given IV infusions, antibiotics, antacids, pain killers, and saw no improvement in my health until I stopped beating on the medical establishment’s door and consulted a wellness practitioner. I am simultaneously so grateful I had the luck to know this brilliant nutritionalist (AKA ‘wizard’ to his friends), amazed that I could (yet again) let my self-care slip so dramatically, and bemused at world in which it was so hard for me (and presumably for many others) to find the foods I needed to nourish me sufficiently. Where is the CoEnzyme Q10 tree? Which is the Vitamin B Complex 100 High Potency plant? “But it’s not natural, all these vitamin pills,” a caring and constantly-skeptical family member. No, it’s not. This observation – the fact that vitamin pills are not naturally-occurring food stuffs, you can’t go out and harvest them in the wild (or can we?!) 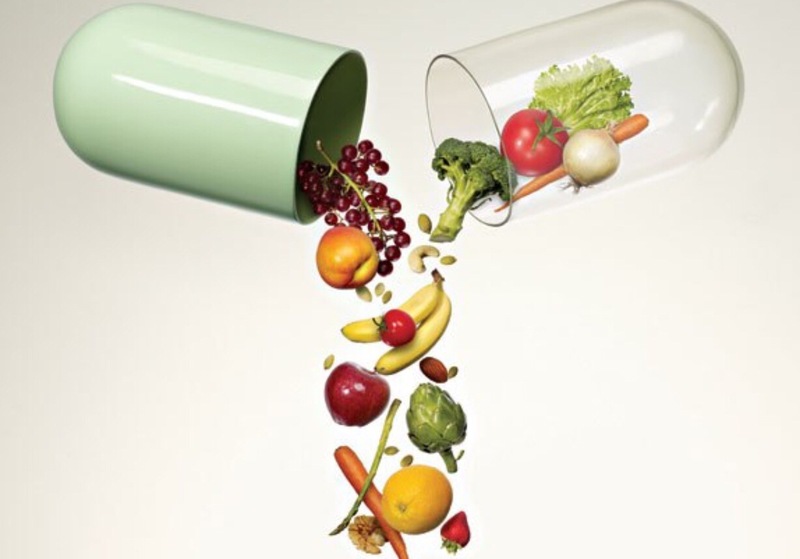 – coupled with my own shock at the price of buying good quality supplements (an eye-watering outlay) left me at a complete loss: ‘what would I have done if I hadn’t had this advice?’, ‘what would I have done if I wasn’t able to find or afford these supplements?’, ‘aren’t we supposed to be able to live healthily from our diets alone?’. No, it’s not natural, and it doesn’t feel right. We’ve lost our wisdom around food. In Sri Lanka, I had no knowledge of what was good to eat, at least in a European context (especially living as I did on a small, agricultural island) I had a fighting chance of being able to select food grown locally and organically, fresh seasonal vegetables, to source meat from a farmer you trust, – and to go on an amazing foraging tour with local guide Kazz Padidar (Wild Adventures, Jersey – he’s brilliant, we need a Kazz for every 46 square miles on earth!) and learn about the food it is possible to gather from the wild… but experiencing life elsewhere, I simply didn’t have the know-how or facilities to fuel my needs. Visiting Jersey in late 2016 a friend insisted I consult with wellness practitioner and wizard John Way. I presented with dizziness, lethargy, tingling and numbness in my hands, aches in my muscles – especially those of the upper body – a complete lack of strength and a near absence of the ability to do anything, including think clearly, together with an ear infection that had plagued me for months on end. Everything was achey, low, slow. If you book a live blood analysis with John Way, you will watch your blood cells tell the story of your experience. You can see the floppy haemoglobin-deficient red blood cells confirming you are as anaemic as you look and feel. You will come across those cells that have been attacked by a virus: frayed and in complete disarray. He will show you the build-up of toxins in a cell indicating a sluggish lymph (get back to that dry brushing, swimming, moving!). You may marvel together at those cells drilled together in clean military lines, signalling an overly acidic system (a state of play where my body would have been scoring calcium from its bones to balance PH. Yikes!). John couples his analysis with an incisive personal insight; he listens, he sees, he knows – the ‘wizard’ indeed. Buying all of this together feels like a rather hefty outlay, but considered on a daily basis is actually less than a regular coffee out (even here in Mwanza) and is overwhelmingly better-value than doctor consultation after doctor consultation that does no more than fill you with increasingly-unusual varieties of antibiotic (NB – if you attend a doctor’s consultation in Indonesia, go to a ‘regular’ clinic, not a ’24 hour’ or ’emergency’ clinic – one taxi I called found the ’emergency’ doctor for me whose fees set me back the equivalent of a few nights’ food and board and more than it would have cost to attend a live blood analysis appointment with the alternative therapists based in Canggu). So, nearly three months on, I feel almost like myself again. My energy levels have returned, mostly, my system is ticking over in harmony, my creativity is bouncing back, as is my joie de vivre, the brain cells are firing up again – and I’m starting to be able to capitalise of a physicality that has always been drawn to movement, strength, stamina, and flow. I was missing this part of life so deeply. Which ‘nutrients’ are still missing that we don’t yet know exist? This experience has emphasised the importance of self care to me, yet again – kind of like ‘fit your own mask first before helping others’. In future, I will take the time to understand more about the food choices available to me locally, and seasonally, and from the wild, in any given place I may spend time. I continue to wonder what I would have done had I not been able to access the kind of wizardly advice John Way was able to dispense? What would I have done in a context of relative food-ignorance to address the needs my body was expressing but that I didn’t know how to answer? What do others, in a similar situation, and without such privileged access, do? Consulting with a practitioner who could make sense out of my experience in terms of the nutritional deficiencies I was experiencing was vital. I could not adequately address the deficiencies I was experiencing through diet alone. The medical community could not help me achieve wellbeing; in fairness, that was never their goal, only the elimination of symptoms (ear infection, acid reflux, etc.) – which wasn’t achieved either. What knowledge do we lack about how to nourish ourselves, how to look after ourselves, how to survive, in any given place on this planet? How will we preserve the seeds of ancient wisdom about diet and nutrition, and how will we preserve the ‘seeds’ of those foods that are not the ones that are easiest to mass produce? If we lose types of foods as a result of mass production and globalisation, what medicines are we losing as well? Is it possible today, in any given context, for an individual to source and eat a diet that will adequately meet their nutritional needs outside of globalised agriculture and mass production? What do we need to do as a collective to ensure that our food choices are positively impacting each other now and each other in the future? What food practices do we need to be embracing now to ensure the availability of nutrients in the future? Your thoughts, my friends, are very welcome. And go read Katy Bowman’s whole book of essays. They may just change your life! *’stacked’ / ‘unstacked’ – a key Katy B concept AKA “stack your life” – find activities which answer your movement / community / work needs simultaneously – this neatly relates to the permaculture design principle of ‘stacking’ – the efficient use of time, space, resources. ± Yes, you guessed it, Katy Bowman again. § NB: this is a prescription specific to my precise needs and shouldn’t be extrapolated.